Here in Nunez our local supermarket is a few blocks walk. 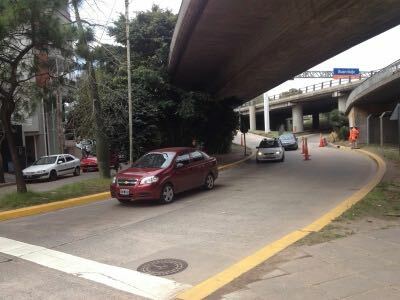 To get there we pass under General Paz motorway. The south side is in the city of Buenos Aires. 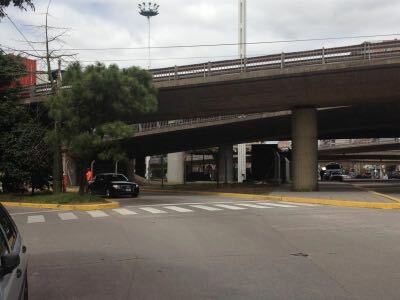 Crossing under the motorway we enter Vicente Lopez in the Province of Buenos Aires. 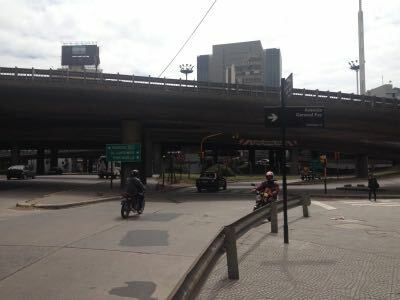 The city is run by Mayor Macri who, so far as I can see does a pretty good job. Approaching the motorway underpass and adjacent on ramp. The on ramp is very busy a but on the city side there are pedestrian lights. No real problems although some drivers carry on through when the light is red. On the other side, in the Province, there is an off ramp with a police checkpoint and a marked crossing but no pedestrian lights. I’m not sure whether this is down to the Provincial government or the local administration in Vicente Lopez. Traffic streams down the ramp and totally ignores the crossing. The pedestrian has two options. Wait, often for quite some time or with careful timing step onto the crossing and force the issue. 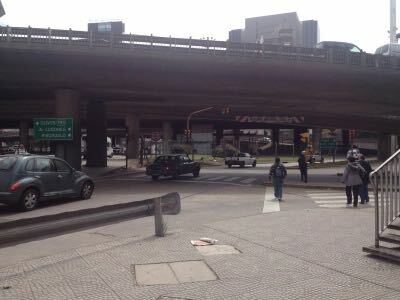 The latter option risks annoying Argentine drivers who are very reluctant to stop at any time.